One Maryland company plays a big role in getting e-commerce deliveries to doorsteps. The shipping box, a simple but critical component to the delivery experience, often originates with equipment from Maryland’s Sun Automation Group. 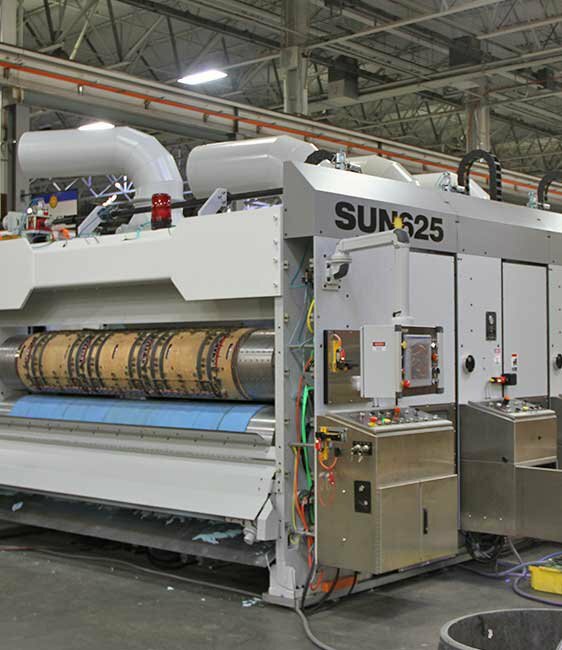 From its facility in northern Baltimore County (an area referred to by industry insiders as “Corrugated Valley”), Sun Automation Group creates equipment that feeds, prints and converts corrugated materials into boxes. The company’s equipment is the industry authority, used extensively across the globe by companies making boxes, says Greg Jones, Vice President of Global Sales and Aftermarket. “It's a high probablity that a board that goes from the corrugator in the box plant and comes out a box touches Sun Automation equipment,” said Jones. And the influence of their equipment is widespread. So much that Jones says it’s likely that every corrugated box – whether carrying a delivery pizza or Amazon essentials – got its start using Sun Automation equipment. Sun Automation Group ships out more product from the U.S. than it imports to the U.S.??? 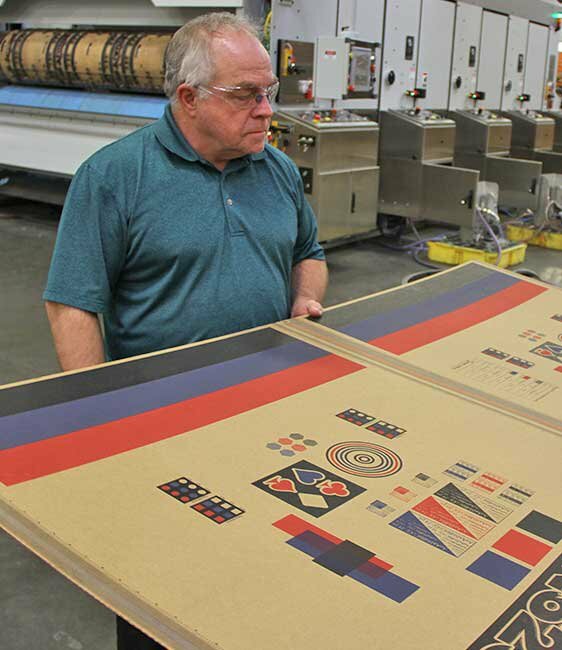 In 1985, the founders started the company in a garage in Hunt Valley, initially focusing on upgrading existing machinery for corrugated materials. In the years to follow, the company extended its research and development and introduced new products, eventually outgrowing the garage and moving into facilities across the Baltimore area. In 2001, the company made a big move to solidify its position as a market leader when it acquired Langston Machinery Corporation. Now operating on a global stage, the founders took another bold move in 2003, when they decided to sell the company. And they had the best buyers in mind. Today, Sun Automation Group has total participation in the Employee Stock Ownership Plan (ESOP), giving its employees 100% ownership of the company. As the company entered a new era under employee ownership, it continued introducing advanced technology and methods, and started building its own line of machinery as an Original Equipment Manufacturer in 2013. Jones says listening to customers’ needs, like that for automation and reliability, is the driving force behind new product development, and is the root of the company’s continued growth and expansion. This continuous innovation cycle provides an exciting environment for young engineers, and attracting a new era of engineers brings more creative ideas to the forefront, Jones said. “More and more millennials are excited about the new innovation, whether it be digital printing or the automation coming into our industry,” said Jones. With Johns Hopkins University and the University of Maryland among local engineering programs producing highly-qualified talent, Sun Automation Group has no problem attracting millennials. Jones estimates millenials make up about 50 percent of the company’s new hires. “There’s a lot of talent in this part of the country, which we’re very proud of,” said Jones. "There’s a lot of talent in this part of the country, which we’re very proud of," said Jones. 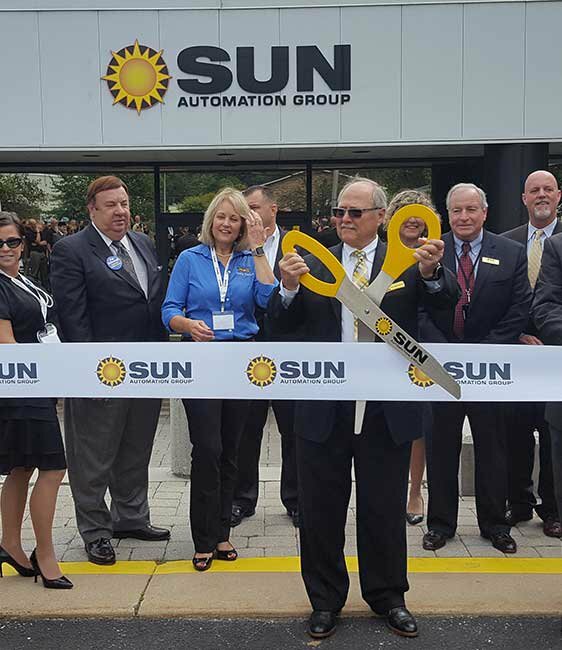 With three decades of success and growth under its belt, Sun Automation Group found itself out of room in 2016, when it announced investment in a larger facility. “Due to the growth of the business, and really the business climate here in Maryland, it made a lot of sense for us to consolidate the three locations into one,” said Jones. The 180,000 square-foot facility in Glen Arm offers a streamlined layout, designed to maximize productivity and further lean manufacturing. And it hasn’t taken long for the company to realize the need for even more space. “We are zoned to expand for another 100,000 square feet, and we’re very full in the warehouse right now, so we’re considering plans to exercise that zone,” said Jones. In addition to its facility in Glen Arm, Sun Automation Group has a location in Guangzhou, China and Bristol, UK. The company sells to customers in 100 different countries across the globe. A few years after entering the U.S. market, this defense manufacturer is experiencing explosive growth.